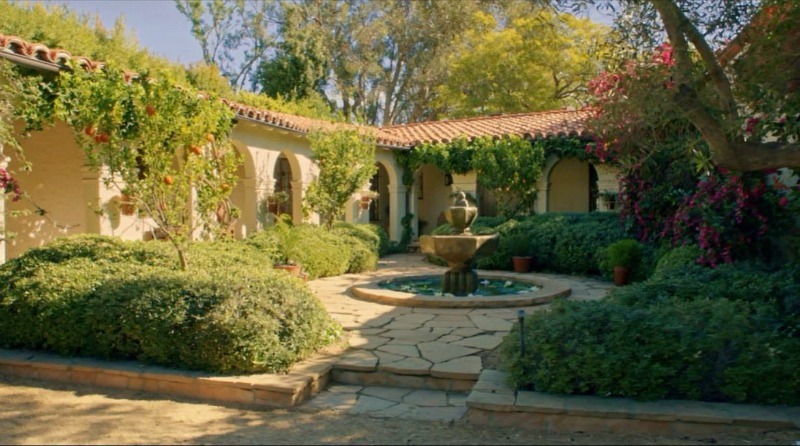 Inside Reese Witherspoon's House in the Movie "Home Again"
The rom-com was filmed on location inside a sweet 1929 Spanish-style hacienda in Brentwood, California. It was already accustomed to a certain amount of fame, having been formerly owned by celebs like Cindy Crawford and Jennifer Garner. Let’s take a look inside! 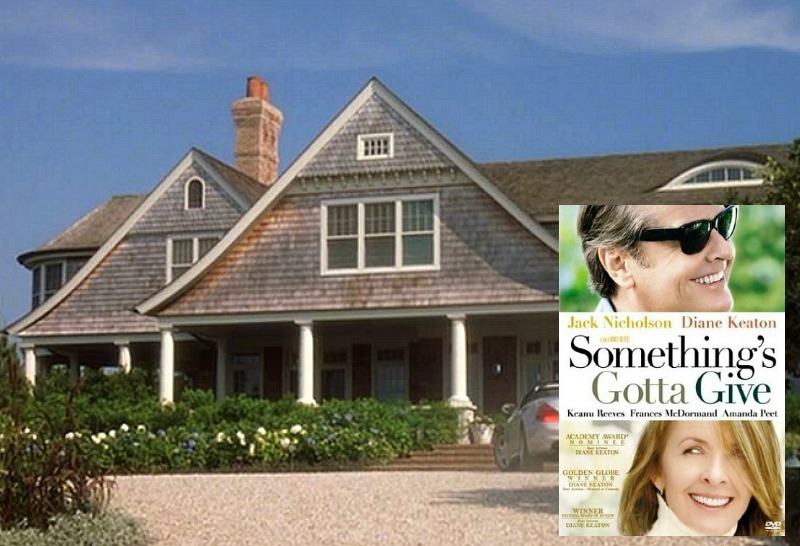 “Home Again” was produced by Nancy Meyers, so you know the sets are going to be good! We have her to thank for some of our favorite movie houses, from Something’s Gotta Give to Father of the Bride. 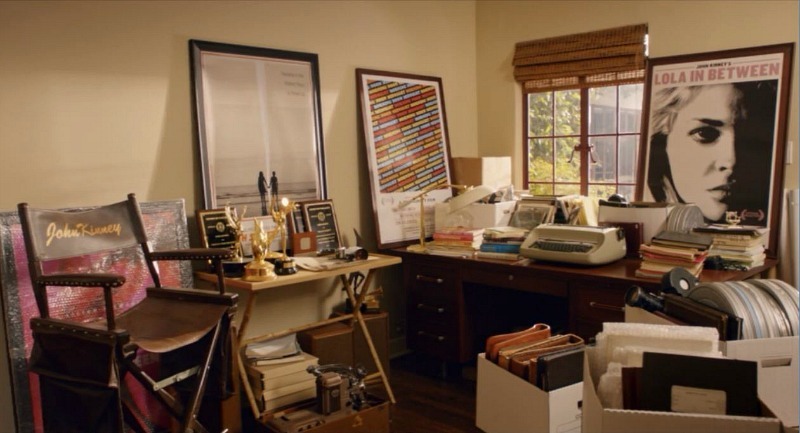 Her daughter Hallie Meyers-Shyer wrote and directed it. 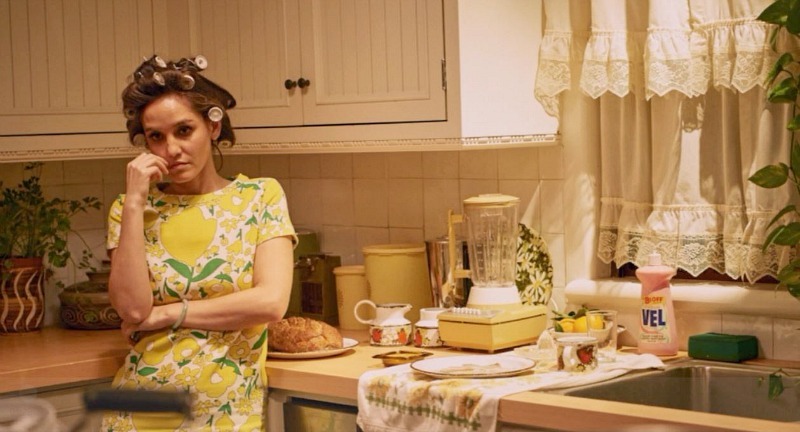 The movie’s about Alice (Witherspoon), who recently left her husband and moved into her late father’s home with her girls. 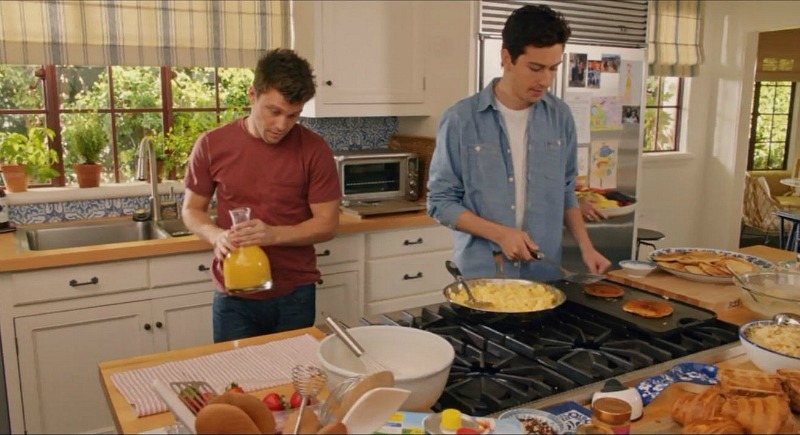 On her 40th birthday, she meets three aspiring filmmakers who need a place to stay. 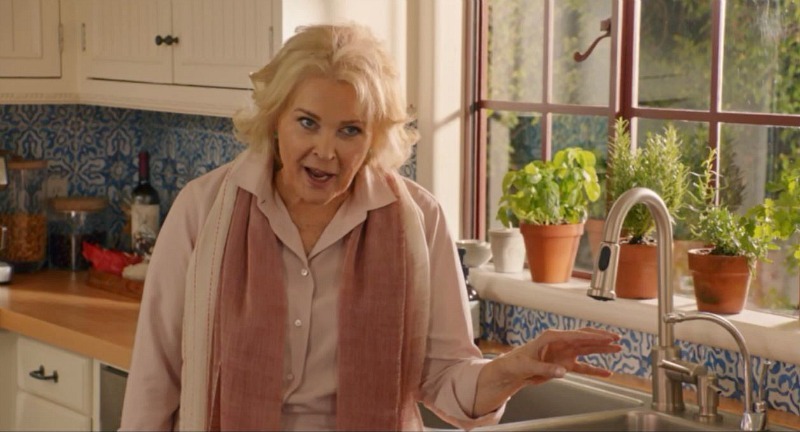 With a little arm-twisting (and plot twisting), she agrees to let them live in her guest house. 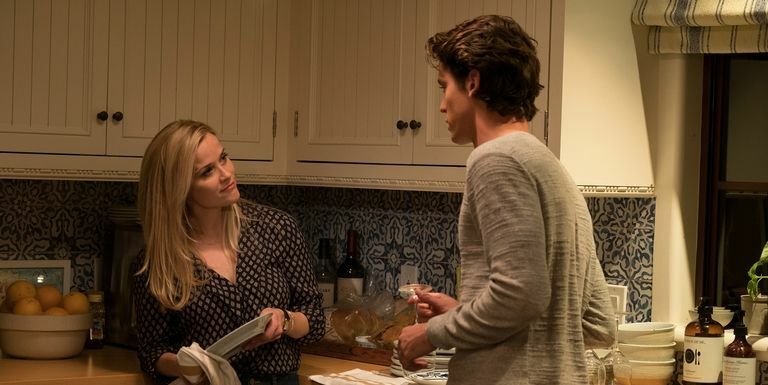 She starts an affair with one of the young men (played by Pico Alexander, who was 25 when he filmed this, but only looked about 18 to me), and another one falls hard for her, too. Things get even more complicated when her ex (Michael Sheen) shows up to win her back. The window treatments looked the same in 2013, but the room had a totally different vibe with the red furniture. These glass doors off the kitchen look great. As someone who ducks and covers whenever someone unexpected rings the doorbell, though, they wouldn’t work for me, ha. The countertops aren’t really wood. They just put contact paper on them to look like butcher block. They used stick-on vinyl tile for the back splash in the movie. Candice Bergman played Alice’s mom, and now I can’t wait for the “Murphy Brown” reboot! 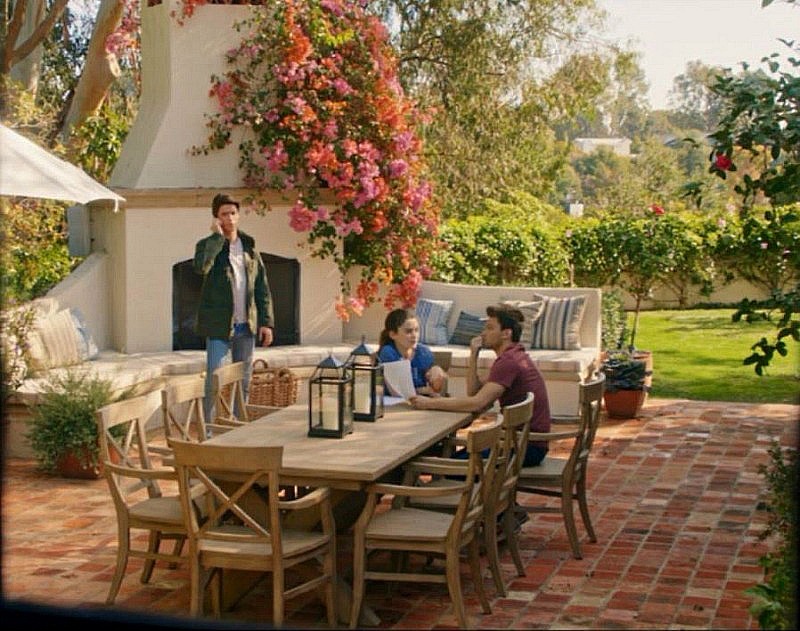 I took as many screenshots of the house as I could while watching the movie. 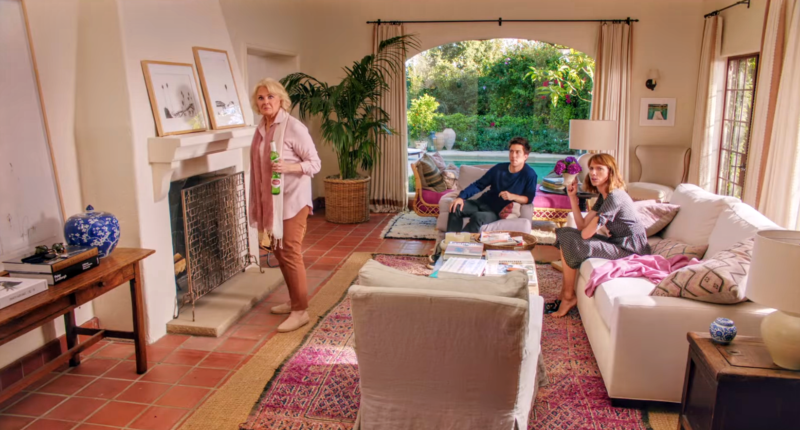 There weren’t a lot of wide shots of the rooms, unfortunately, so you have to kind of mentally piece together how the spaces connect. 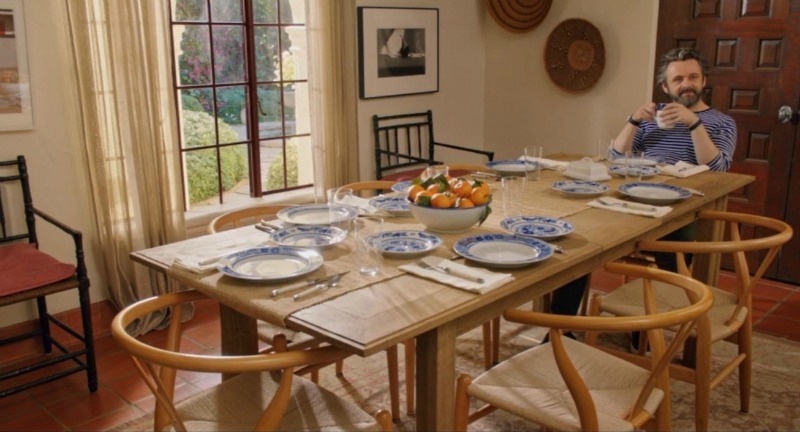 I really like the classic blue and white scheme they went with in the kitchen and dining room. The house is like a character in the film. 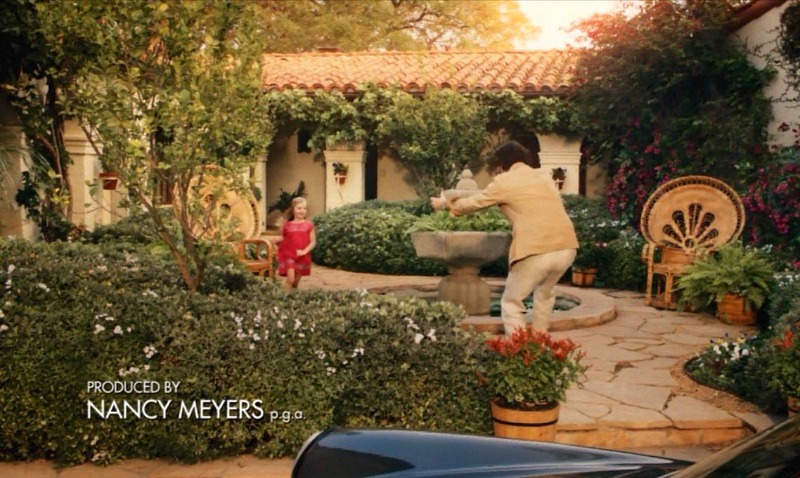 That’s what happens in Nancy Meyers movies. We were on a limited budget, but Hallie knew that she wanted a very light and bright feel to the place. She wanted it to feel very much like California. Antiques with a good patina always work. 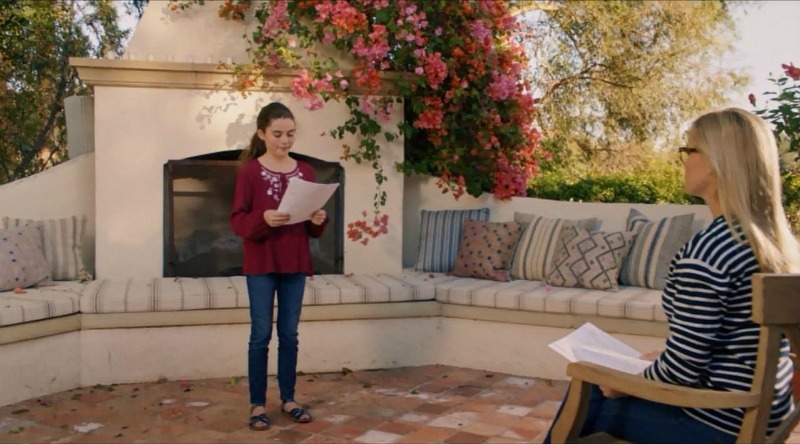 Alice’s dad was a filmmaker named John Kinney, and that connection draws Harry, George, and Teddy into her life. 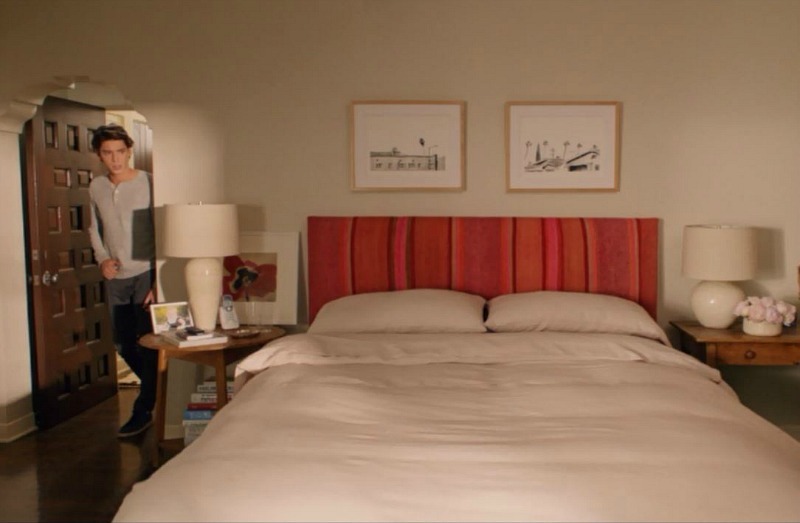 Brill created the colorful headboard in the master bedroom with two rugs from Raoul Textiles. 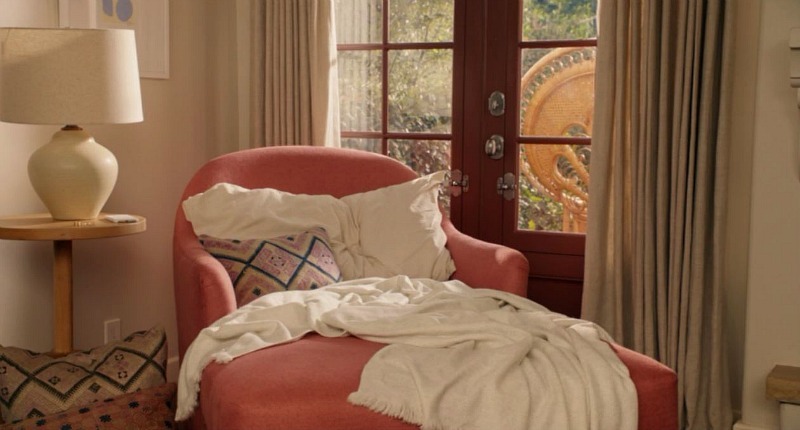 Those window treatments look like the Bingham curtains from Ballard Designs. 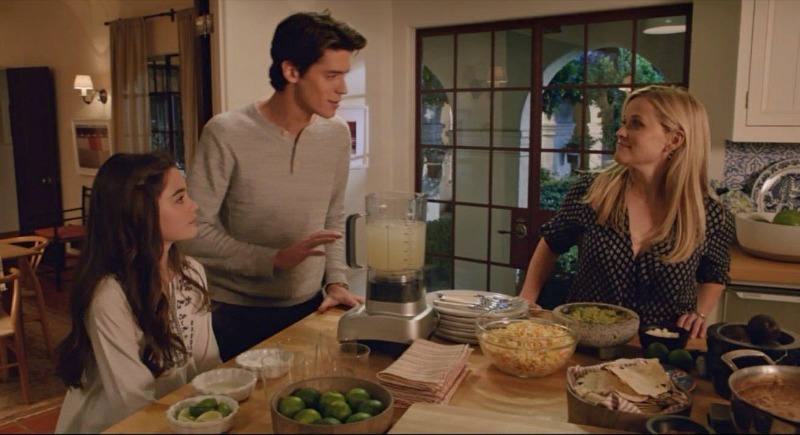 Ellen Brill also worked on sets for American Horror Story and Parenthood. 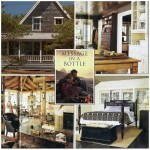 They wanted the “Home Again” interiors to have a mix of rustic, Midcentury and bohemian influences. The producers needed a property that came with a guest house, so this one fit the bill! 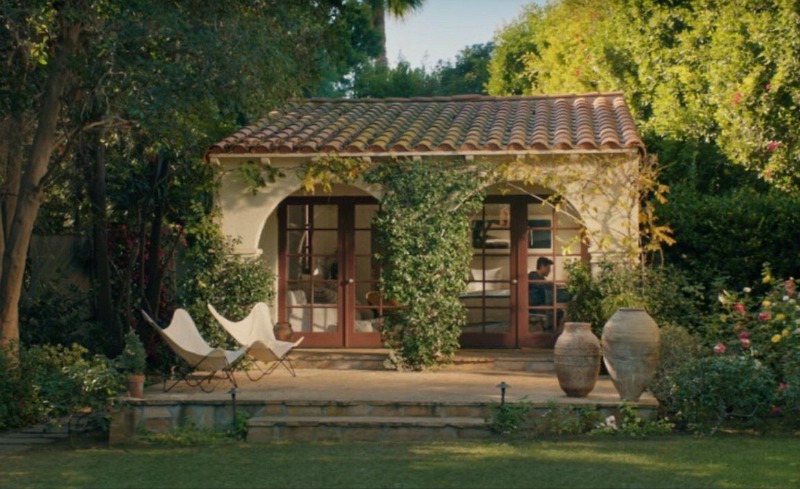 This brick patio with the fireplace and built-in seating created one of my favorite “rooms” in the movie. 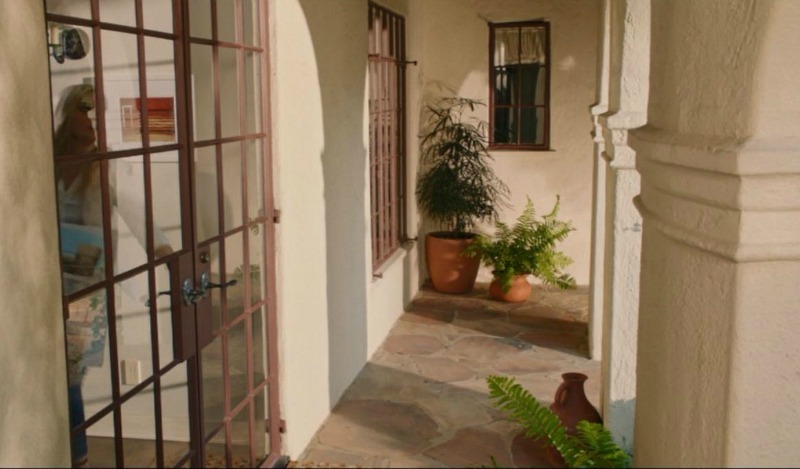 Karen Ballard, Open Road Films, Meridith Baer, L.A. Times, Cote de Texas, Period Media, Elizabeth Street Post, Ellen Brill, Trisha Troutz (2013 listing photos), and Inside Houses. 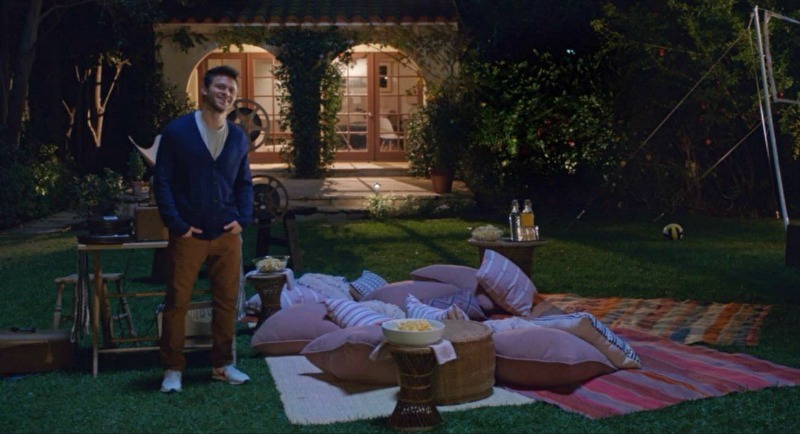 The movie was cute and had some funny moments, but the house was the star of the show for me. 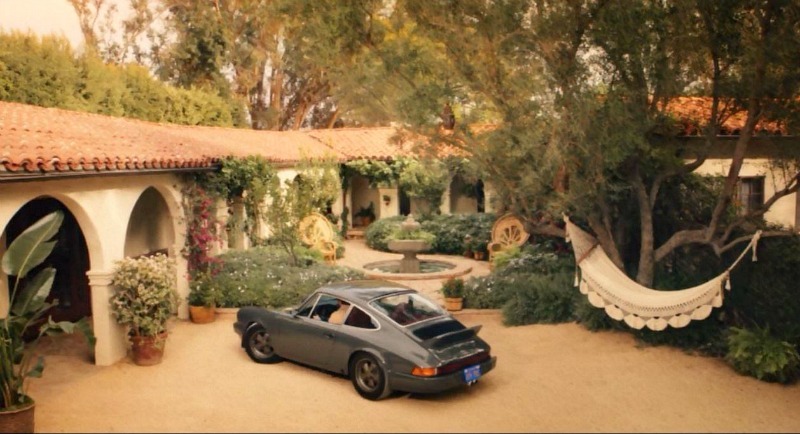 With the Spanish architecture, it reminded me of the country home Reese used to own in Ojai called Libbey Ranch. I loved that one and couldn’t believe it when she sold it. BTW: This month I switched newsletter companies, and I’m hoping I didn’t lose any of you in the transition! If you didn’t get a newsletter today and think you should be on my list, click here to sign up again. Thanks! 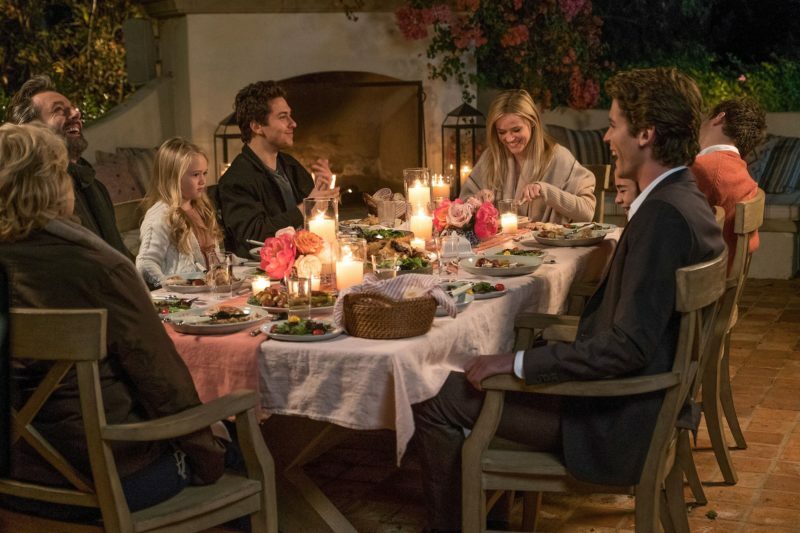 For Sale: Emily Thorne's Beach House from "Revenge"